As Chief Information Officer, Brian  oversees the Learning and Information Technology Services Department for Everett Public Schools where he has been since 2016. Everett is investing in technology to equip staff and students with resources to strengthen teaching and learning. Brian’s team leads that work to weave the integration of technology into the learning landscape both instructionally and operationally. 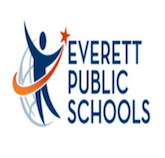 An integral part of this technology integration is providing technology and digital resources to each of the over 20,000 students that attend Everett Public Schools. Brian has been in public education since 1992 as a teacher, school counselor, and a principal at both the middle and high school level. Brian holds a Bachelor of Arts in Education and a Masters in Guidance and Counseling from Washington State University. He earned principal and superintendent certifications at Western Washington University.